John Brattain can also be read at Sympatico/MSN Sports where more likely than not, he'll be complaining about the Toronto Blue Jays. John's work has also been featured at HardballTimes.com, About.com, MLBtalk, ESPN Insider, Yankees.com, Replacement Level Yankee Weblog, TOTK.com, Bootleg Sports, Baseball Prospectus, The Baseball Analysts and The Baseball Journals. You can hear him every Wednesday at 4:40 PM EST on ESPN 1450's The Mike Gill Show. He also is a frequent guest on The Jed Donahue Show on WTKT-AM 1460. John Brattain seemed to spread warmth and cheer into every nook and cranny of the web, which made it much easier to have a writing addiction... 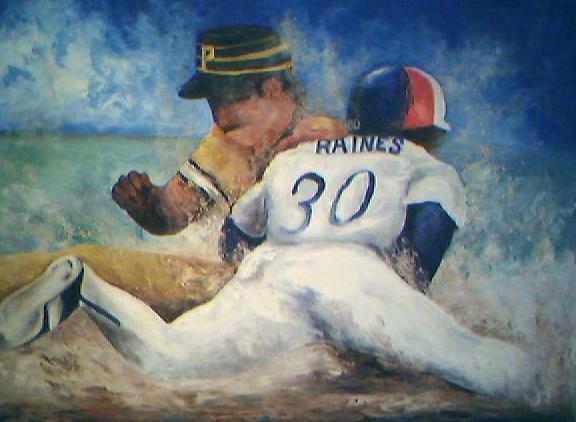 Speaking personally, John sought me out for the raines30.com page a while ago. It was an act of courtesy and consideration which will never be forgotten. Just minutes after [my first Baseball Prospectus] article was posted, I got the very first feedback email of my sportswriting career. too many Expos fans writing on the game eh! More to follow I hope. Never too many, John. I only wish we didn’t just lose one of the best.